World Class Brazillian Guitarist Diego Figueiredo back on Nighttown's Stage in Special Solo Program! 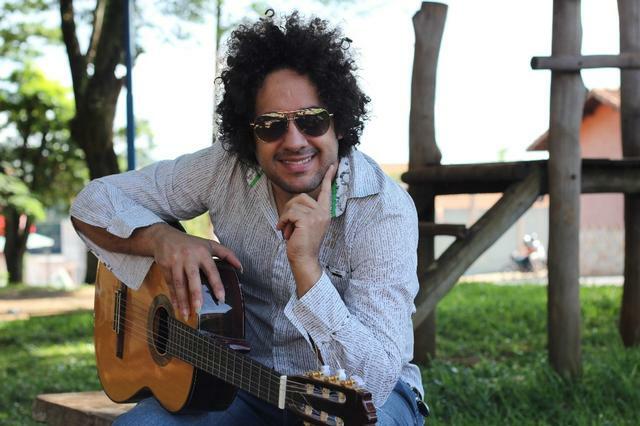 Diego Figueiredo (pronounced fig-a-ray-do) is considered one of the most talented guitar players in the world today. He is the winner of several important competitions including the Montreux Jazz Competition and the VISA Prize. Diego has released over nineteen albums to date, three DVD’s, and several instructional books. His music is a fusion between Jazz, Bossa Nova and Classical. Diego’s unique interpretations, along with his phenomenal technique and emotion, has created an explosion of adoring fans and concert goers. Diego has performed in over forty countries around the world. Diego Figueiredo was born in Franca, Brazil in 1980. At the age of four he used to strike poses carrying his small guitar. At six, he received a mandolin, which was kept in a very special place in his house. Diego played many instruments before choosing the electric guitar when he was twelve. By the age of fifteen, he was playing theaters and nightclubs throughout Brazil, playing both solo and with many renowned Brazilian musicians. Most recently he accompanies the singer and songwriter Belchior in tours around Brazil and abroad, as well as with the French phenom Cyrille Aimée. He has played and shared the stage with Hermeto Pascoal, Larry Coryell, Geraldo Azevedo, Sebastião Tapajós, Demônios da Garoa, Vanusa, Renato Borghetti, Osvaldo Montenegro, Jair Rodrigues, Elomar, Toquinho, Tunai, Paulinho da Viola, Nando Cordel, Moraes Moreira, Fafá de Belém, Amelinha, Los Hermanos, Zeca Baleiro, Miyazawa and others. With a variety of works already released, Diego is doing shows on the most important stages around the world enchanting and charming the public wherever he goes with his unique touch. Diego solo performing "Stella by Starlight"